We like our food in New Orleans, and dessert is no exception. Search deep enough and you can find an almost unlimited selection of sweet tooth fixes in this city. Most are great, but some are in a league of their own. That’s where we come in. Don’t believe me when I say you have to try these desserts? Ask my dentist and he’ll tell you, I have the cavities to prove that I like sweets and I like them a lot. So I wanted to share a few favorites I complied so that you would not make the rookie mistake of being “too full” for dessert the next time you go to dinner. Man up and eat some of these damn good goodies. You’ll thank me later. When I asked my office mate Patrick what his favorite dessert was he told me that the Bread Pudding at Commander’s is “God’s dessert.” And when I ask others, they didn’t disagree. Bread pudding is a New Orleans staple and as such, criticisms about it can be scathing. If you’re selling bread pudding, you better bring your A-game. It’s moist, sweet but not too sweet, with a warm whiskey sauce drizzled lovingly atop. It’s what people from New Orleans love the most, our favorites done the right way. Doesn’t have to be fancy, just has to be good. My friend Elizabeth gave me this suggestion and while I haven’t tried it, every part of the name tells me that I am seriously lacking in my dessert game. According to her, it is “quite possibly the best thing I have ever eaten.” If that’s not a ringing endorsement I don’t know what is. Gigantic sweet chocolate chip cookies with coffee ice cream perfectly complemented by Maldon Sea Salt. It’s just enough but it’s never enough. You always want another. Be warned, they rotate flavors but they do this flavor a few times a week, so be sure to ask before you order. When Sucre began, it didn’t just arrive, it damn near exploded all over New Orleans. Their selection of candies, pastries, coffees, gelatos, but most importantly the macaroons sent most of New Orleans into a sugar-induced tizzy. Not to mention they are a serious contender in the city for the best King Cake. I’m a classicist so I stick to my Randazzo’s but I will admit that Sucre came to play. 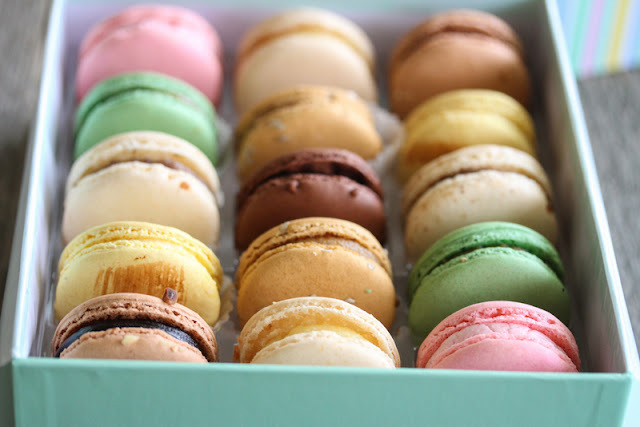 The macaroons are gluten free and come in a number of delicious flavors like salted caramel, bananas foster and my favorite, pistachio. Get as many as you feel comfortable with and share them with only those who are worthy! Having just recently reopened for the season, not to mention its recent James Beard award for Lifetime Achievement, it’s not a wonder why people flock to Hansen’s like moth to a sweet, sweet flame. While they have dozens of snowball flavors, their crown jewel (in my opinion) is the hot rod, which is a snowball stuffed with ice cream. My recommendation: dreamsicle flavor, vanilla ice cream, more dreamsicle then top with condensed milk. As a Louisiana staple, you have to thrown in Blue Bell. In my haste to make sure I stay on top of upcoming flavors I often find myself eating several gallons of Blue Bell at any given time. And I regret nothing. The flavor on deck for the summer though has to be the Caramel Turtle Cheesecake flavor. It has caramel swirls, laced with chocolate-covered turtles, pecans, creamy cheesecake pieces, sprinkled with a chocolate cookie crust. I mean, how can be angry when something this amazing exists in the world!! Move over Cheesecake Factory because La Petite Grocery is offering luxury desserts from Pastry chef Bronwen Wyatt. She’s been named the “Chef to Watch” by Louisiana Cooking Magazine and won Food and Wine Magazine’s award for “People’s Best New Pastry Chef”. The cheesecake I mention is utterly decadent and made with blood-orange sorbet, candied kumquats (an orangey, citrus-like fruit) and fried hazelnuts. It’s sweet, creamy and has flavors that you won’t forget anytime soon. 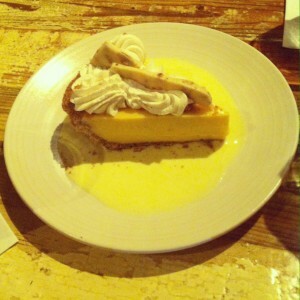 I couldn’t make this list without mentioning a summer time favorite, key lime pie. Sweet, tangy and made with a buttermilk chantilly, the Key Lime Pie is refreshing and delicious and just what you need after the insanely delicious meal you are bound to have at Peche. They have just been awarded two James Beard awards, including Best Restaurant and Best Chef for the South, Ryan Prewitt, so be sure to make a reservation before you go. I know I have boasted of the amazing coffee that Angelo Brocato’s has but I couldn’t publish this list without putting the Brocato’s gelato on the list. If the line out of the door everyday doesn’t convince you of it’s brilliance, I’m not sure what will. Others will recommend the lemon ice, I say Sicilian Pistachio. I love the refreshing taste and the texture from the pistachios. Can’t decide? Then try any number of their pastries, cookies, Italian desserts, or spumoni, whatever you decide, it’s not the wrong decision. 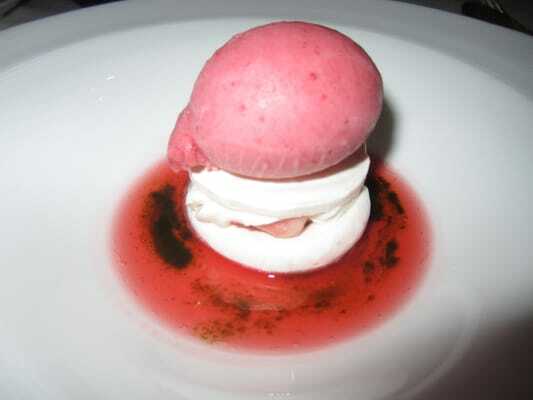 the Strawberry Vacherin. A vacherin is a merigenue filled with whip cream, fruit and sometimes ice cream. Coquette makes their own with strawberry sorbet and a vanilla chantilly. It’s light and sweet and a traditional French dessert. If you want authenticity than go no further. You should probably know that I am a banana junkie. I genuinely think that they go with everything. Bananas rock. 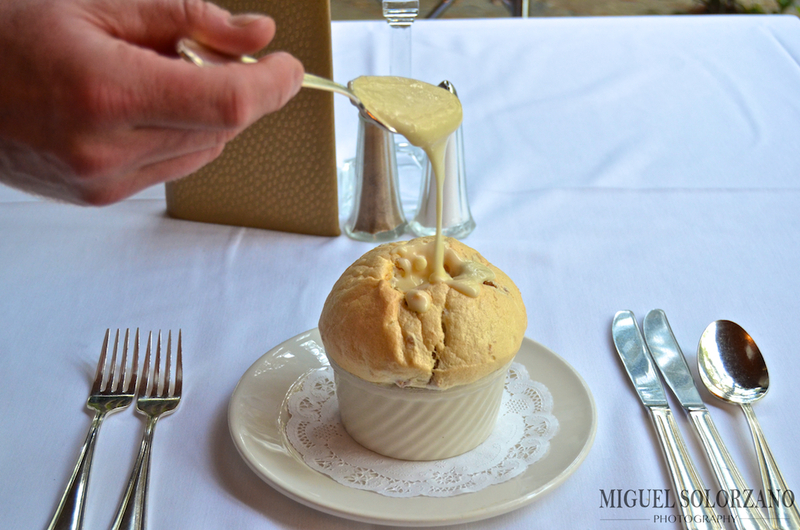 So when I recommend the Banana Pudding from Chef John Besh’s restaurant, you know that I’m leading you in the right direction. 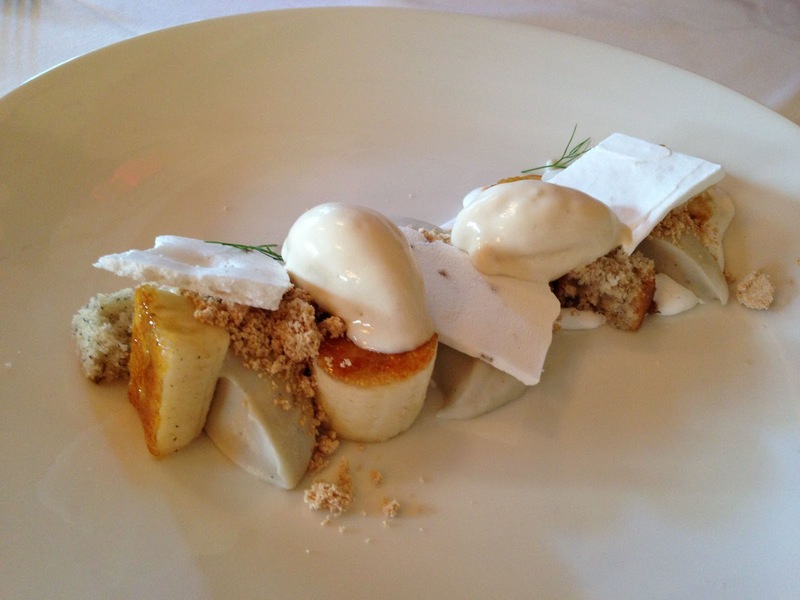 This dessert really takes me back to being a kid and my mom’s banana pudding. Made with peanut butter, marshmellow and nilla wafer ice cream, it’s sweet and crunchy and soft and decadent and the rest of my day is going to spent thinking about this dessert now. Creole Creamery gives you that old soda shop feeling while offering you some neat flavors you can’t find anywhere else. 31 flavors? Puh-leese. All in all, Creole Creamery has had at least 100 flavors since opening. I need the Saints season to start back up again so I can get me some Black and Gold Crunch. But do you think you’re a badass? Want to live in creamy infamy? Give the Tchoupitoulas Challenge a try: 8 scoops of ice cream, 8 toppings, all dressed up with whip cream, cherries and wafers to be finished without assistance. Can only be done at the Prytania location! St. Lawrence is one of my favorite haunts. They are making a spectacular menu from a kitchen no bigger than my bathroom and it’s all amazing. They are constantly rotating new dinner plates, soups, cocktails but luckily for me, this dessert never comes off the list. The Milk and Cookies dessert consists of 3 fried oreos along with some vanilla bean ice cream. It may not be very sophisticated but it’s simple and perfect. Perfect for my 1 AM, French Quarter prowling, drunk and hungry self. I know that I already mentioned Commander’s Palace but an office debate broke out arguing between the Bread Pudding Souffle and the Strawberry Shortcake. So to stop the bloodshed, I’m mentioning both because they are both to die for. Made between a big homemade biscuit, a sweet strawberry compote, and finished off with a mountain of whip cream. THERE JUST AREN’T WORDS PEOPLE. Now I know everyone has their favorites, but no worries, I’m sure with my insatiable sweet tooth there will more editions of this list. Do you have a favorite I forgot? Let me know in our Comments Section so I can try it too! That one was soooo close to making it on the list. My friend Elizabeth highly recommended it too. But since I had mentioned the bread pudding from Commander’s, I thought it would better on the next edition of this article. But believe me, I know how amazing it is! Thanks for commenting! I can’t disagree with any of these. I’ve had most of them and they are indeed delicious. I would suggest to give the fried cupcakes at Rue 127 a try (yes, fried cupcakes). Thanks for reading. I haven’t had a fried cupcake before and I don’t know how I didn’t know something that amazing existed! Thanks for sharing. As far as the beignets, I couldn’t agree more. I just wanted to include some that that I didn’t think others in the city had heard of, and if you’re living in NOLA and you don’t know beignets, you must be living under a rock! I’ll be sure to mention them on the next edition of this article. Always appreciate suggestions! I have a lot of new things to try. Thank you. But I would be remiss if I didn’t give some love to the Apple Cobbler a la mode from Don’s Seafood on Veterans Blvd. It is a serving for 2 and comes in a large goblet. Simple but delicious! Apple cobbler in a goblet you say? That sounds amazing! Now I have something new to try. Thank you for sharing! The lemon ice box pie at Clancy’s, banana cream pie at Emeril’s, salted caramel cake at Peche, and the cakes at Debbie Does Doberge are great too. The Lemon Ice Box pie at Clancy’s is terrific, thanks for commenting Heather!